First, I wouldn’t be an American if I didn’t mention the spectacle that took place last night (because really, even if you hate football and Beyonce and commercials and an excuse to eat 10 bowls full of queso dip…not that I did…, at the very least you know that all of that took place AND you probably even know that there was a blackout if not who won). In my “I have a degree in communication and took at least 1 adverting class” expert opinion, this year’s Super Bowl commercials were pretty creative and well constructed as a whole (except for that first Go Daddy commercial. You know what I’m talking about. Yuck). I really liked the M&M’s ” I would do anything for love” montage, the Audi kid who enjoyed every second of getting a black eye, the Live Mas Taco Bell commercial (esta nochhhhheeeee), and the Clydesdale horse commercial. And the outage. I was actually laughing in an “ARE YOU SERIOUS?” type of way. Event Coordination Fail. I also thought Beyonce did a spectacular job and her on-stage light show was out of this world. And HOW AMAZING WAS IT WHEN MICHELLE AND KELLY POPPED UP ON STAGE?!?! I was the perfect age to be a big Destiny’s Child fan in the early 2000’s (much more so than I’ve ever been a solo Beyonce fan), and even though everyone pretty much knew it was going to happen, I still got a bit emotional when the girls all sang together on stage…even though Beyonce’s microphone was obviously louder, but did anyone actually expect otherwise? Destiny’s Child, not children. Ok. Obligatory Super Bowl mention done. I think the most appropriate thing I can say right now is thank goodness for back down off it week this week. This weekend was the first real long run duo of marathon training: 16 miles on Saturday and 8 miles yesterday. The runs themselves weren’t so bad, but my body seems to be rebelling a bit and punished me by making it difficult to walk yesterday. I’ve been rolling and stretching right when I get back, but for some reason, my left calf just completely knotted up. I’m looking forward to today’s recovery run, and a shorter mileage weekend. Speaking of mileage, January was the first month that I’ve been actively tracking how many miles I run/walk. It looks like I hit 98.64 for the month (yes, I am slightly annoyed that I didn’t hit an even 100). I’m not really too concerned with what this number implies or doesn’t imply. I’ve determined looking around blog land that I’m a pretty low-mileage marathon trainee (which served me fine the first time around). I usually base my progress on how much faster I run (determined by race times or the number of sub-8 miles I can hit during training) over how many miles I run since I’m more of a quality over quantity type person, but it is interesting to see the overall monthly total. Anyway, this was an ok 2nd week of training. Last week was a really crazy week both professionally and personally, and my mind was elsewhere. I’ve always thought that running successfully comes down to a strong mental will, and I didn’t have it this week. I’m hoping for my own 49er’s post-blackout moment! Saturday: 16 miles. My Garmin died at mile 10.36, so I have no idea what my pace was. My feet really started hurting at mile 14 (I was wearing my less supportive shoes) but otherwise, it wasn’t too bad for a long run. I also could have run the last 5.5 miles at an average pace of 14 minute miles, but whatever. Sunday: 8 miles. The first 4 miles were pretty hard and I had to stop and stretch every half mile or so, but the last 4 felt great! I’ve been really trying to push hard on downhills in order to prepare for the Boston course, so I actually had to put effort into the downhill miles. We also did yoga Sunday night which helped stretch out the sore muscles. My strategy this week was to do as much as possible early on since it is harder to eat clean during the weekends and doing squats after long runs feels about as fun as it sounds. Mondays aren’t usually fun anyway, so eating clean wasn’t too hard to tack onto an already lackluster day. I can’t tell if any of this is actually making a difference, but I am glad that I’m starting to feel stronger again. And I *think* I’m actually getting more flexible! And I managed to have a perfect marathon week! I got all of my workouts in, and I achieved all my goals! Thanks to the checklist (and knowing that I’ll post it up here), I’ve really made a commitment to following through with everything even when I’d rather sit and veg on the couch (MUST DO PLANK OR BLOG FRIENDS WILL JUDGE!). I hope you are having a wonderful Monday! Because of last week’s craziness, I am super behind on blog stalking/paying attention to my own blog, but I hope to catch up very soon! So, even though I have missed the bandwagon by quite a bit, and nobody cares anymore (except the people in New York who are throwing a crazy parade right now), I must acknowledge our excitement over the Super Bowl! I haven’t chosen an NFL team to cheer for yet, but cheering for winners makes things a little easier, and it looks like the Giants are pretty much the winners this go around. 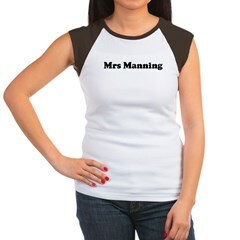 And Eli Manning is my husband. And my non-Eli Manning husband is a die-hard Giants fan. So, I cheered for the Giants loud and proud. Go Giants! And, Go Beckham! (and thanks H&M for throwing in some man candy in between all the Audriana Lima and GoDaddy). And, even though it is gawdawful, I can’t stop listening to this song. (MIA flips off the camera in the video too in case you were wondering). (oops…looks like all of the Give Me All Your Luvin” youtube videos have been flagged…but imagine Madonna, Nicki, and MIA singing here). Ok. No more Super Bowl talk! In other news, I overcame some major fears and went to a Chiropractor. About a week and a half before RnR Arizona, my sciatic nerve starting really hurting. I did all of the usual things like soaking in warm water, getting a massage, stretching, and not finishing out my half marathon training. It got better long enough for me to finish the race strong. Of course running 13.1 miles made it hurt again and I started the whole process over. Everything was fine until a 4 mile run last week. 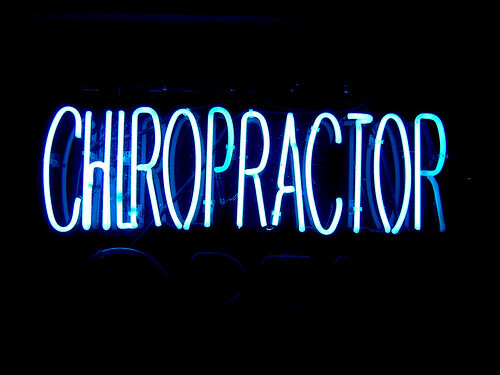 When I first mentioned my sciatic issues, a friend recommended seeing a chiropractor. I honestly NEVER would have even thought to do that on my own because I view chiropractors as scary spine snapping quack “doctor” people who deal with back problems and generally cause more harm than good. I had nightmares about a wrong move that resulted in me being paralyzed. But when I woke up last week after a night of throbbing nerve pain, I decided to make an appointment. 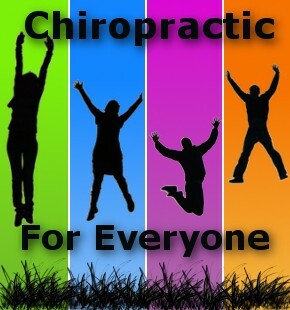 Luckily another friend who is quite experienced in the world of visiting chiropractors was able to recommend someone. Poor guy also had to answer my questions and talk me through my freak out session and convince me that I wasn’t going to die. I have now gone in for adjustment twice with one last follow-up adjustment on Thursday (apparently it takes a few tries before your body gets the hint) I found out that my right hip was almost an inch off from where it was supposed to be (Aaron went with me and verified that this was the case). I’m really little, so that almost inch is a significant percentage of my overall height! Lord knows how long I’ve been walking around lopsided. The process is so not what I was expecting. Mostly, it feels like he is using some Jedi force to guide my bones into place. There is a little bit of popping involved, but I was surprised that it didn’t feel like anything was happening at all. After 2 adjustments, the tenderness and pain is all but gone. Chiropractor Tom has used his weird magic powers to eliminate my sciatic issues and make me an unlopsided person again. With the amount of torture I’m going to be putting my body through in the upcoming months, I want to make sure that something like uneven hips doesn’t cause problems down the road. So, thanks friends who made the suggestions and talked me through my craziness, and thanks Dr. Obi Tom. Amazing how a little Jedi force can make a huge difference!